Global business attorneys Vinita Mehra and Luis Alcalde traveled to Havana on May 3 through May 7 to engage in professional research related to the use of information technologies and education in Cuba. While in Havana, Mehra and Alcalde also initiated preliminary discussions with His Excellency, C. Rajasekhar, the Ambassador of India to the Republic of Cuba and Cuban entities regarding further engagement and business development efforts between U.S. and Indian-based companies with Cuba. During their time in Cuba, Mehra and Alcalde met with the President, Dra. Miriam Nicado Garcia, and Director of International Relations, MSc. Beatriz Aragon Fernandez, among other top officials of the Universidad de las Ciencias Informaticas (UCI), Cuba's top university for information sciences. UCI has seven schools devoted to information sciences, undergraduate and master's programs plus a development and research center. Since its inception, UCI has graduated eight classes with more than 12,500 information science engineers. Both attorneys also participated in meetings with Cuban artists and others working on expanding internet usage on the island as well as meetings at the Ciudad Universidad Jose Antonio Echeveria (CUJAE), Cuba's top engineering school. Mehra and Alcalde also had the opportunity to meet with one of the principal founders of InfoMed, Cuba's network for medical professionals, who provided a detailed history of Cuba's internet development from the early 1990s to the present. Meetings with representatives from the Ministry of Communication provided information on Cuba's current plans for further internet development and connectivity. 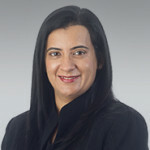 Mehra is uniquely licensed to practice in Ohio and India. Alcalde was born in Havana and holds both American and Cuban citizenship. Learn more about Kegler Brown's Focus on Cuba or the Global Education practice.